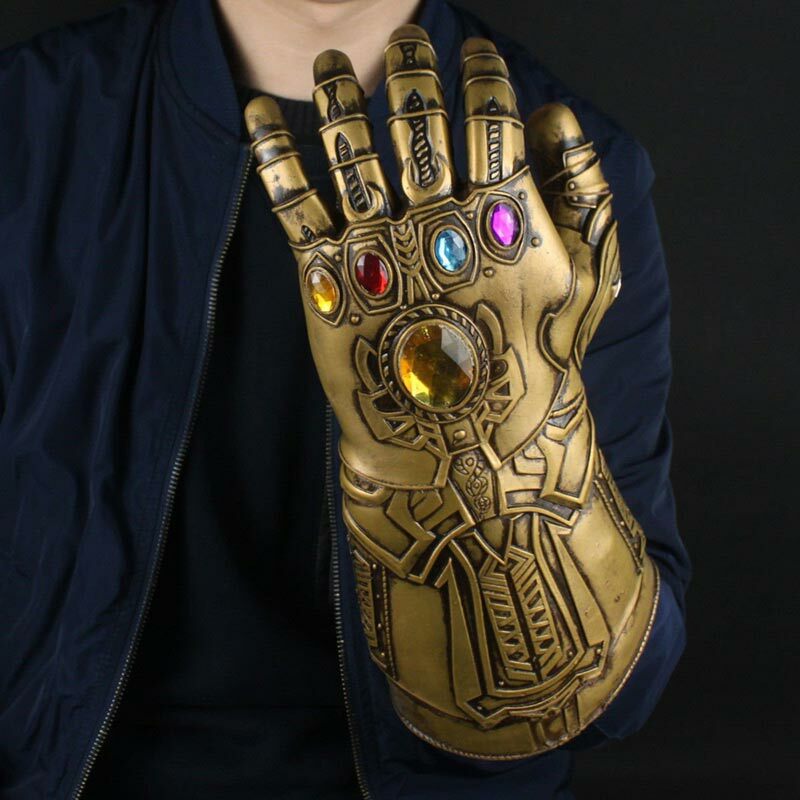 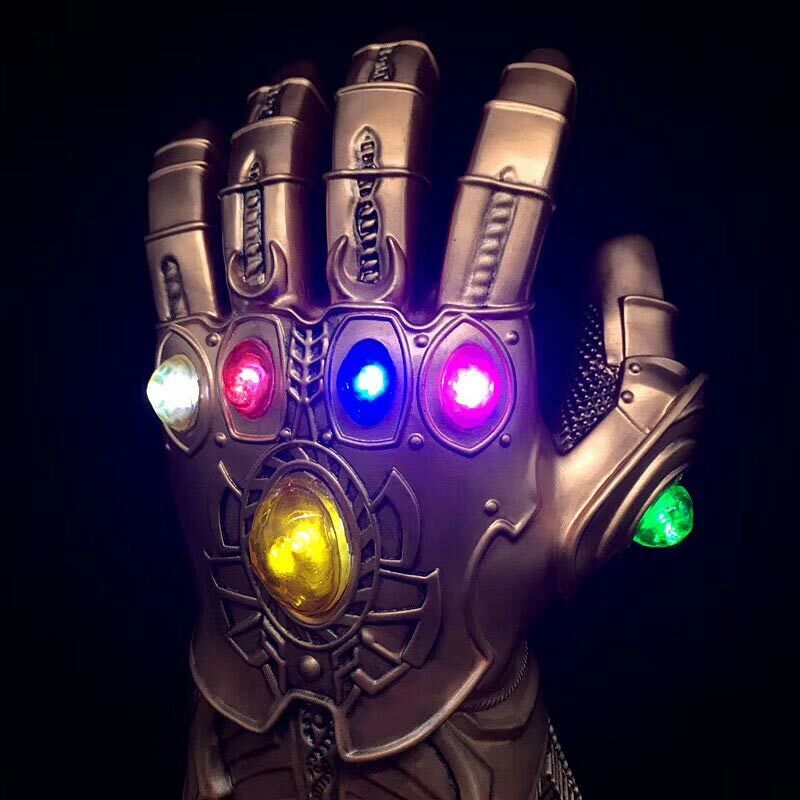 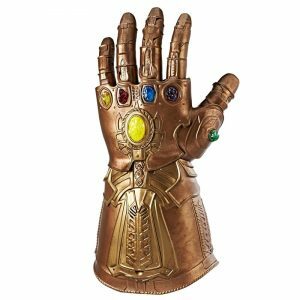 Bring Thanos Infinity Gauntlet Replica – one of the most powerful weapons in the Marvel Universe to life! With this premium owned Infinity Gauntlet replica fist from the Marvel Cinematic Universe, lift up the power of the Infinity Stones and imagine taking control of the galaxy with the all powerful gauntlet worn by the mad titan – Thanos. Inspired by the upcoming Avengers: Infinity War movie, this Infinity Gauntlet replica features premium design and styling, as well as intricate detailing on the gauntlet and 6 light-up Infinity Stones. This Infinity Gauntlet replica is pvc-made 1:1 rigid replica, it is approximately 38 cm tall, featuring LED light-up function with two lighting modes (batteries not included); and it has multi-layered metallic painting with weathering effect.